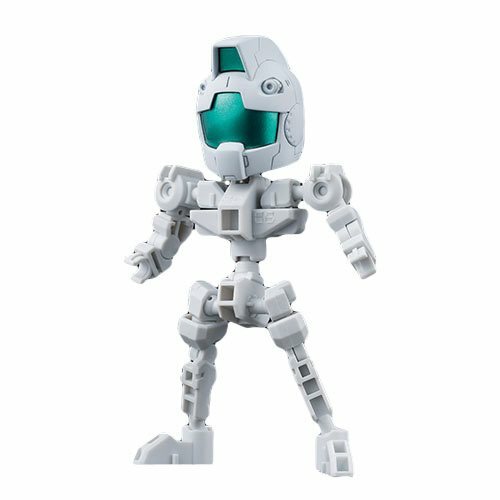 The first option set for the SD Gundam Cross Silhouette line is the Mobile Suit Gundam Cross Silhouette Frame White Bandai SDGCS Model Kit! Combine with other SD Gundam Cross Silhouette line items to recreate the tall proportions for each MS! This frame includes a GM head. Set includes Cross Silhouette frame, 1x Runner, and Instruction manual. Measures about 3-inches tall. Ages 15 and up.